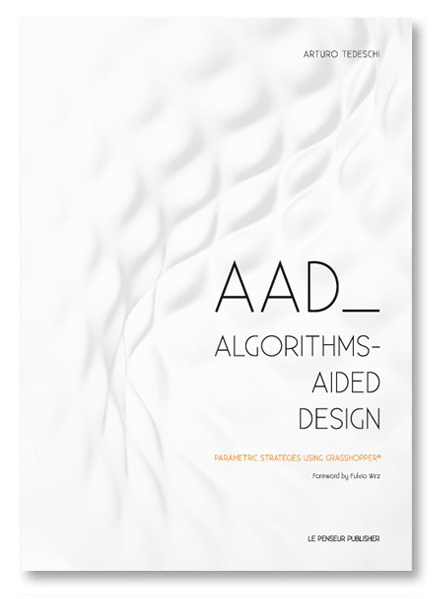 The book “Algorithms-Aided Design” presents design methods based on the use of Grasshopper®, a visual algorithm editor tightly integrated with Rhinoceros®, the 3D modeling software by McNeel & Associates allowing users to explore accurate freeform shapes. 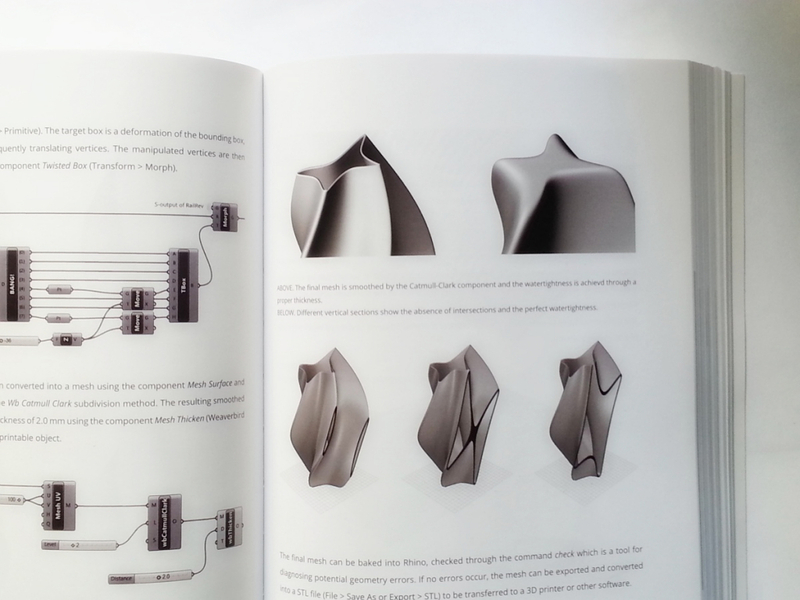 The book provides computational techniques to develop and control complex geometries, covering parametric modeling, digital fabrication techniques, form-finding strategies, environmental analysis and structural optimization. 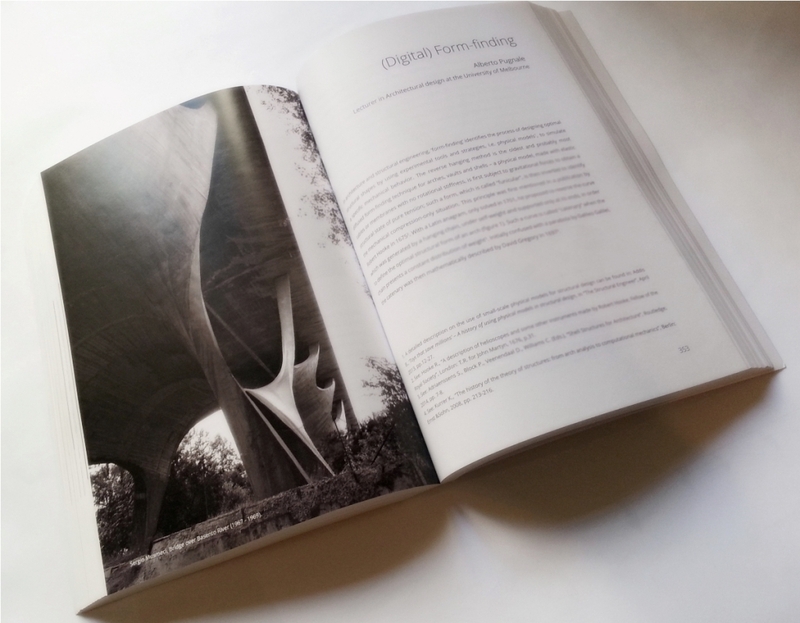 It also features case studies and contributions by researchers and designers from world’s most influential universities and leading architecture firms. 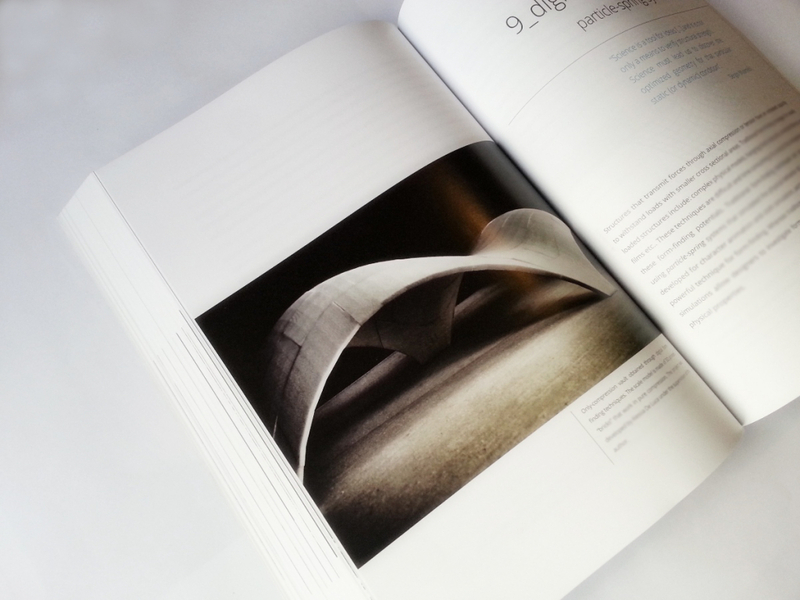 The book features step by step procedures relying on complete Grasshopper’s definitions, graphics and images. 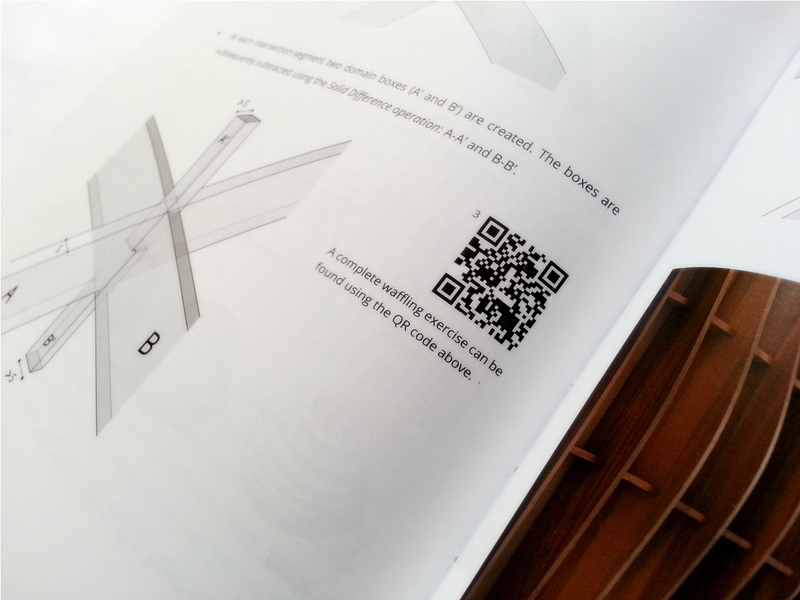 QR Codes allow readers to access complex Grasshopper algorithms via tablet/smartphone for a better visualization. 1_Algorithmic modeling with Grasshopper; 1.1 Prerequisites and installation; 1.2 Grasshopper user interface; 1.2.1 Component tabs; 1.2.2 Working area: canvas; 1.3 Components and data; 1.3.1 Local setting of data; 1.3.2 Wired connection; 1.3.3 Warning and errors; 1.3.4 Setting from Rhino; 1.4 Save and bake; 1.5 Display and control; 1.6 Grasshopper flow; 1.7 Basic concepts and operations. 2_data | how to manage data in Grasshopper; 2.1 Filters; 2.1.1 List Item: select one item from a list; 2.1.2 Cull Index: select all data except one item; 2.1.3 Cull Pattern: select items using a repeating model; 2.1.4 Shift List: offset Data in a list; 2.1.5 Split List/List Length; 2.1.6 Reverse List; 2.2 Numerical sequences; 2.2.1 Series; 2.2.2 Data Matching; 2.2.3 Repeat Data; 2.2.4 Random/Construct Domain; 2.2.5 Range; 2.3 Mathematical Functions; 2.3.1 Functions of one variable; 2.3.2 Functions of two variables; 2.4 Conditions; 2.4.1 Logical operators/Boolean values; 2.4.2 Conditional: If/Then; 2.4.3 Other operators: Contains; 2.5 Remapping numbers/Attractors; 2.5.1 Attractors. 4_transformations; 4.1 Vectors; 4.2 Euclidean transformations; 4.2.1 Translations: Move component; 4.2.2 Rotations: Rotate and Rotate Axis; 4.2.3 Orient component; 4.3 Affine transformations; 4.3.1 Scale component: uniform scaling; 4.3.2 Graph Mapper component; 4.3.3 Image Sampler component; 4.4 Other transformations: Box Morph; 4.4.1 Paneling. 6_smoothness; 6.1 NURBS and Polygon Meshes; 6.2 Polygon meshes_6.2.1 Geometry and topology; 6.3 Creating meshes in Grasshopper; 6.3.1 Creating meshes by topology; 6.3.2 Creating meshes by triangulation: Delaunay algorithm; 6.3.3 Creating meshes by a NURBS to mesh conversion; 6.4 SubD in Grasshopper: Weaverbird plug-in; 6.5 Subdivision of triangular meshes: Loop algorithm; 6.6 Subdivision of quadrangular meshes: Catmull-Clark algorithm6.6.1 Voronoi skin; 6.6.2 Fading pattern; 6.6.3 Strategy: cull adjacent faces. Digital informing creativity by Ludovico Lombardi (Zaha Hadid Architects). 7_loops; 7.1 Loops in Grasshopper: HoopSnake component; 7.2 Fractals; 7.2.1 Serpentine Pavilion iteration; 7.2.2 Tridimensional fractals; 7.3 Loops in Grasshopper: Loop component (text by Antonio Turiello). 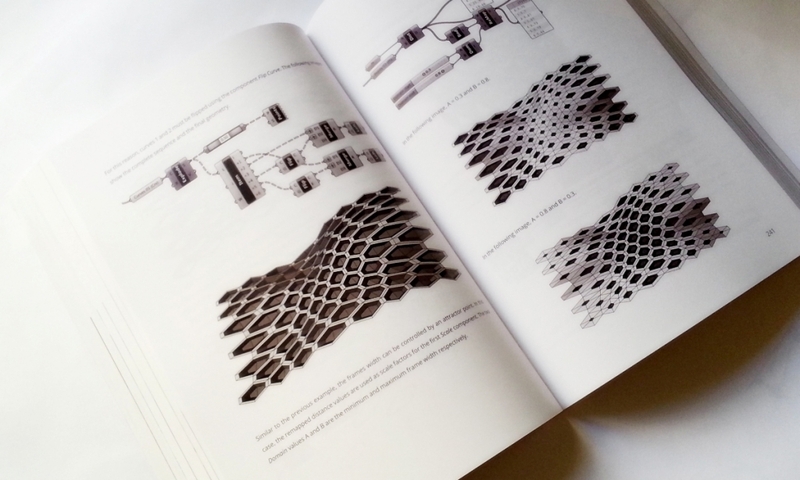 (Digital) Form-finding by Alberto Pugnale (University of Melbourne). 9_digital simulation | particle-spring systems; 9.1 Kangaroo plug-in; 9.2 Kangaroo workflow; 9.3 Cable simulation; 9.3.1 Continuity; 9.4 Elastic behavior: Hooke’s law; 9.5 Catenary simulation; 9.6 Membrane simulation; 9.7 Shell behavior. 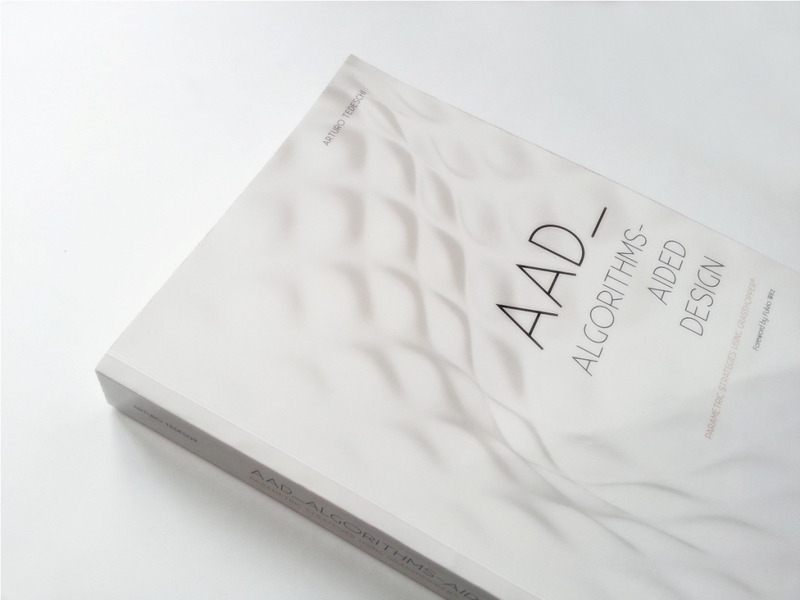 Form as Unknown – Computational Methodology and Material Form Generation in the AA Rome Visiting School Workshops by Lawrence Friesen and Lorenzo Vianello. 10_evolutive structures | topology optimization (text by Davide Lombardi); 10.1 Shape Optimization; 10.2 Topology; 10.3 Topology optimization; 10.4 Works; 10.4.1 Akutagawa office building; 10.4.2 TAV station in Florence; 10.4.3 Qatar Education City; 10.4.4 Radiolaria; 10.5 Examples; 10.6 Optimization: finding solutions with Grasshopper; 10.6.1 Optimization problems; 10.2 Exact solvers: Goat plug-in; 10.6.3 Evolutionary solvers: Galapagos. 11_environmental analysis (text by Maurizio Degni); 11.1 Tools; 11.2 GECO and Ecotect; 11.2.1 Interface; 11.2.2 Link and export; 11.2.3 Analysis grid and mesh analysis; 11.2.4 Calculations; 11.2.5 Feedback/import; 11.3 About GECO’s components _11.4 Solar diagram and shadows_11.4.1 Responsive skin; 11.5 Exporting geometries and importing data; 11.5.1 Exporting geometries from Grasshopper to Ecotect; 11.5.2 Importing data from Ecotect; 11.6 Insolation analysis; 11.6.1 Positioning of photovoltaic panels; 11.7 Analysis Grids; 11.8 Light Control; 11.8.1 Visual comfort of a room; 11.8.2 GECO + Galapagos, visual comfort optimization. Arturo Tedeschi is an architect and computational designer. 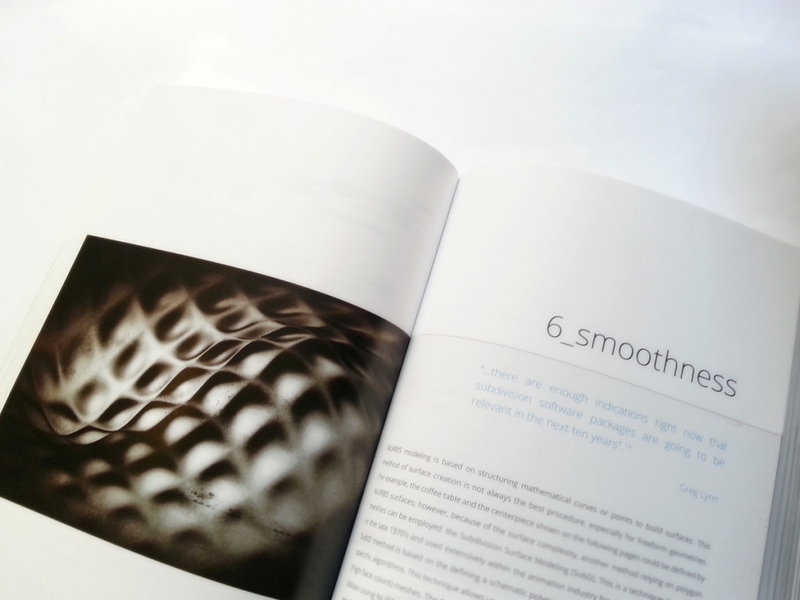 Since 2004 he has complemented his professional career with an independent research on parametric design, focusing on relationships between architecture and digital design tools. 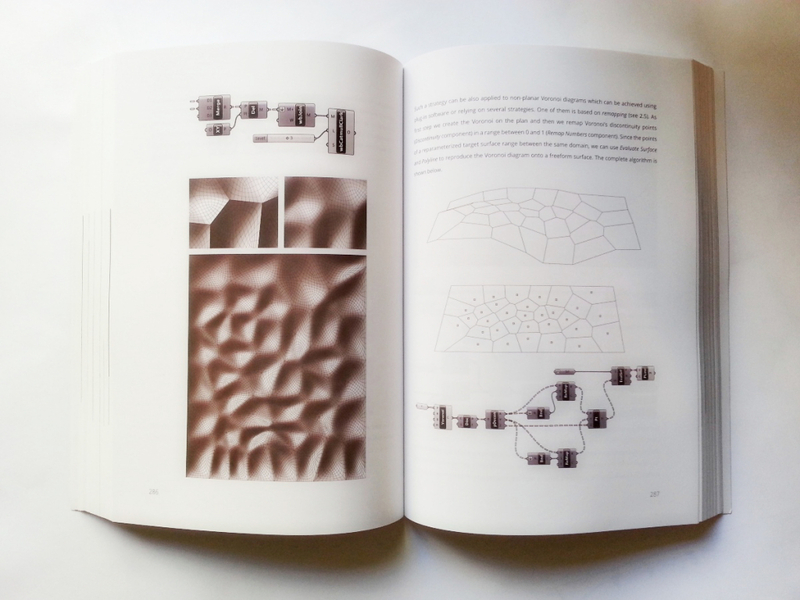 He is the author of Parametric Architecture with Grasshopper, a best-selling book on parametric design, originally published in Italy and translated into English in 2012. He has taught at many universities, companies and institutions and from 2012 he is the co-director of the AA Rome Visiting School for the Architectural Association School (London). His work has been featured on a series of international magazines and exhibited in Rome, Milan, Venice, London and Paris. He has collaborated with leading architecture firms, including Zaha Hadid Architects, before setting up his consulting company A>T.